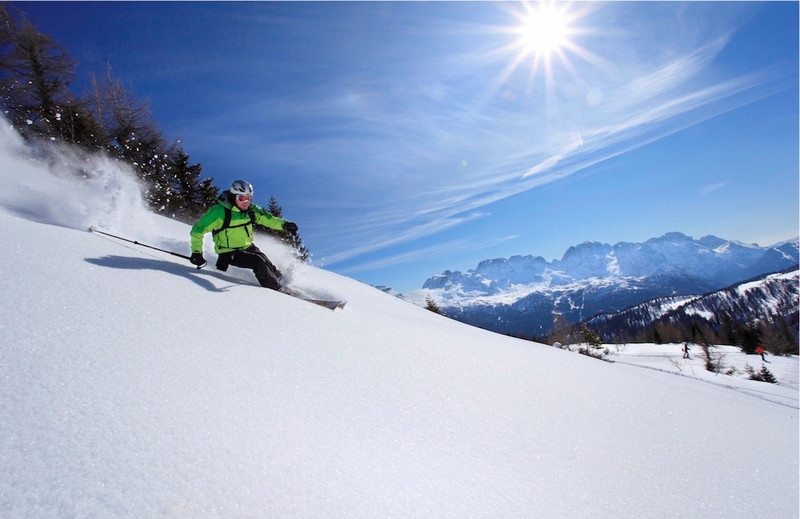 Some book their ski holiday way in advance to take advantage of best prices and largest choice. Some book at the very last minute hoping for deep discounts. All check current snow report when the first day of their ski trip becomes in sight. Starting today, you will find the latest snow report for all skiing destinations in the Alps directly at EuropeMountains.com. We have teamed up with Ski Resort Service International GmbH to provide your with always up-to-date information about current snow cover, date of last snowfall, snow quality and number of ski slopes available. Ski Resort Service International GmbH are the leader in this business – they get daily snow reports from thousands of ski resorts around the world. Combining the widest selection of accommodation with current snow conditions drives powerful results. When you look at a particular accommodation you see basic data just under the pictures’s section. Here’s a screenshow featuring a hotel in Val di Fassa ski resort. Now, simply click the „Ski resort information & trail maps” link to get to the details section. Here you will find complete snow report data. If an area features several ski resorts this is the best place to compare them and plan you skiing week depending on their conditions. We believe this improvement will help you find your perfect ski holiday with EuropeMountains.com. We finally had a proper snowfall in the Alps. The amount of snow the Alps received over the weekend exceeded all expectations and allowed ski season opening in many ski resorts. The temperature dropped signifficantly across the board and allowed snow cannons to work at full capacity. This week we are going to see a lot of snow production as all destinations take advantage of low temperatures.